Operators for the first time successfully launched and recovered a small unmanned aircraft system (UAS) from a U.S. Coast Guard icebreaker, the service said. 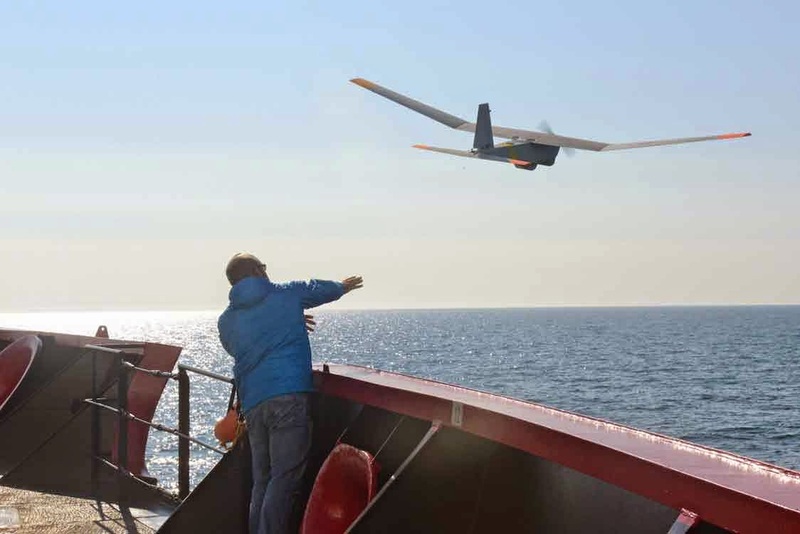 They achieved the feat on August 18, launching an AeroVironment Puma AE from the flight deck of the Coast Guard cutter Healy, underway in the Arctic Ocean. An AeroVironment crew, working with researchers from the Coast Guard and National Oceanic and Atmospheric Administration (NOAA) made several unsuccessful attempts to land the 13.5-pound aircraft and were delayed by high winds, heavy fog and icing conditions before succeeding, the service said. A video shows the hand-launched Puma flying a circular pattern before dropping to the deck, where its wing detached as designed. The Coast Guard has also evaluated Insitu’s ScanEagle UAS for its requirement to equip eight planned Legend-class National Security Cutters with a persistent surveillance capability beginning in Fiscal Year 2017. In May 2013 the service used the ScanEagle, which is deployed by a pneumatic wedge catapult launcher, to help stop a cocaine smuggling operation in the eastern Pacific Ocean—another first.